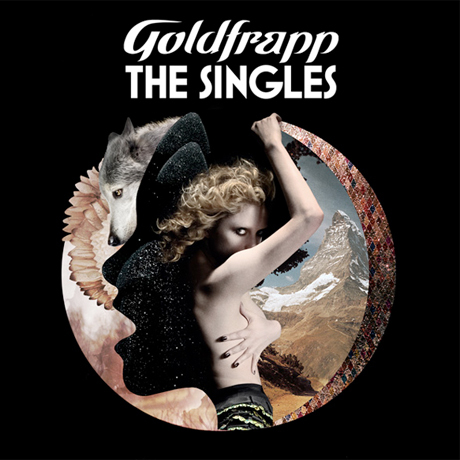 English electronic duo Goldfrapp have issued five full-lengths and handfuls of singles since forming in 1999, and it looks as if the group will collect the best of the best next year on a new compilation called, fittingly, The Singles. News of the collection came via Goldfrapp's Twitter earlier today (December 8), with the band explaining that on top of past triumphs, the set will contain two new songs: "Melancholy Sky" and "Yellow Halo." You can check out the latter, a suitably airy and ethereal addition to the group's songbook, in a new travelogue clip posted below. The Singles is set to arrive in the UK on February 6 via Mute/Parlophone, while a North American release date is still pending. You can check out the cherry-picked (or should we say "Black Cherry"-picked) tracklist below.